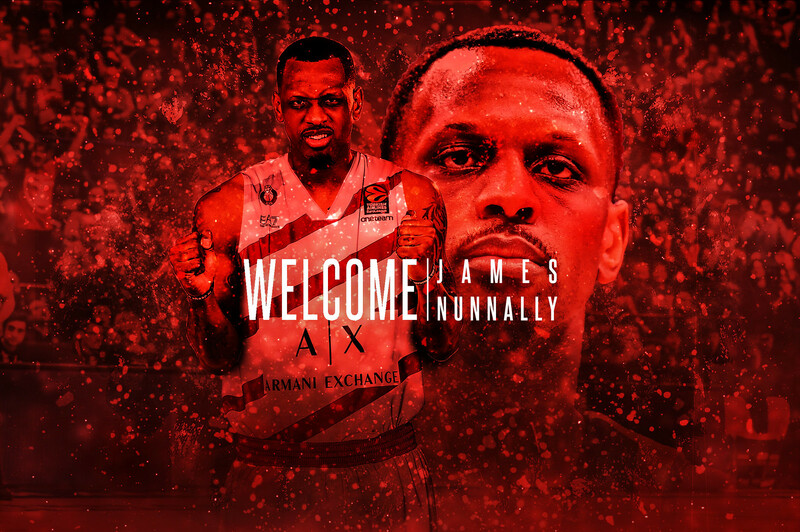 Pallacanestro Olimpia Milan has signed a contract until 2020 with James Nunnally, a shooting guard-small forward of 2.01 mt, coming from the NBA’s Houston Rockets. WHO’S NUNNALLY – Nunnally was born in San Josè, California on July 14, 1990. He started to play at Stockton’s Weston Ranch High School where in his final year he scored 22.1 points per game with 8.3 rebounds leading his team to a 14-0 record and the title of the Valley Oak League. Weston Ranch has retired the number 21 in his honor this year. From 2008 to 2012 he played for the University of California at Santa Barbara. In his sophomore year at UCSB he scored 14.7 points with 5.6 rebounds per game and was included in the second Big West Conference team, while winning the title. In his third year he brought the team back to the title, scoring 16.3 points and 5.3 rebounds per game. Finally, as a senior, he scored 16.0 points with 5.9 rebounds per game. In 2012/13 he played in Kavala in Greece and then in Bakersfield in the current G-League. In 2013/14 he started the season again in Bakersfield, made his debut in the NBA in Atlanta and then moved to the Texas Legends of the G-League, made the All-Star Game and finally played nine more games in the NBA, with Philadelphia. In 2014/15 he played at Estudiantes Madrid and then at Maccabi Ashdod in Israel (he averaged 17.3 points per game). In 2015/16 he was MVP of the Italian league while playing in Avellino, where his team reached the semifinal round, losing in seven games to Reggio Emilia (18.4 points per game, 41.2% from three, 90.5% from the line). In 2016 he signed for Fenerbahce where he stayed two years, making two EuroLeague finals, the first one won. He also won twice the Turkish title (in 2016/17 he had 11.9 points per game, with 57.1% from three, in the second year he had 11.3 points with 48.8% from the arc) and twice the President’s Cup. In the summer of 2018 he signed for the NBA’s Minnesota Timberwolves: released after 13 games, he signed a 10-day deal and played two games with the Houston Rockets. NOTES – In the 2017/18 season he closed the EuroLeague regular season as the best three-point shooter, with 59.5%. His 50.6% from three in his career places him in the first place ever among the players eligible… In 2013 he was included in the All-Rookie first team of the G-League; and in 2014 he made the All-G-League second team.